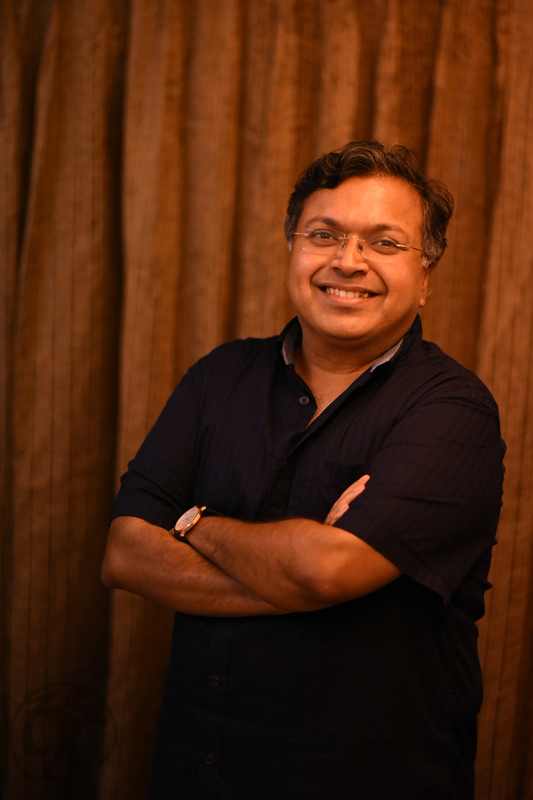 Devdutt Pattanaik, India’s beloved mythologist, who has made dense and obscure narratives and myths accessible to urban India explains in a two-part interview with Thrive Global India the relevance of Indian mythology at the workplace, why is it important to be purposeful, and how “looking inwards must balance the conquest of the outside world”. TGI: What kind of lessons on handling stress, burnout and depression are hidden in Indian narratives? DP: Indian mythology recognises that we are torn between desire for nourishment (kama) and fear of endings (yama). This is the source of anxiety, burnout, and depression. It recognises how we delude ourselves (maya) by comparing ourselves with others and feel alone and isolated despite being in a crowd, like Brahma who created the world to give himself companionship and freedom from fear. TGI: But is Indian mythology relevant at the Indian workplace? DP: It is relevant in all workplaces. Modern management is based on Western mythology and is objective based. It’s all about targets and tasks. It does not take consequence into consideration. Consequence, in other words karma, is the cornerstone of Indian mythology which is based on rebirth, action and reaction. All employers, not just Indian, can learn from Indian philosophy that human capital thrives not in a competitive battle ground (ranabhoomi) but in an enriching enabling performance stage (rangabhoomi). TGI: So how different would our definition of ambition and success be if it were based on Hindu, Jain or Buddhist ideas? DP: Why are you ambitious? Why are you seeking success? These are questions Indian philosophy asks. It does not promote ambition or success (artha) as good. It is part of existence, along with responsibility (dharma), fun (kama) and freedom (moksha). Also are we doing it to indulge our ego or to help others? The former denies us happiness by isolating us. The latter makes us happy and creates a great ecosystem. TGI: A good ecosystem also develops by questioning the reason and purpose behind a task, yet, today, not all of us are purposeful in our lives. Should this be changed? If yes, why and how? DP: Yes. We are more objective-driven. Achievement is a goal of life, in alignment with Greco-Roman thought. Or compliance, in alignment with Abrahamic thought. We have forgotten to contemplate on life, understand why we are hungry for things and for power and for attention, and we fear being alone or dominated or ignored. Looking inwards needs to balance the conquest of the outside world. Otherwise we will feel hollow, just consuming, never contemplating, addicted to the outside world, dependent on it. TGI: But if the objective is to contemplate and align our material-intellectual-emotional needs, what are the ways to do it? DP: Through empathy. We are often too focussed on ourselves and so lose sight of the larger picture, the whole world. We fail to see how everyone has problems. Only when we help others can we hope to get others to help us. Else we isolate ourselves, helping no one, helped by no one. TGI: Does the western idea of ‘individualism’ play a role in pushing us to live more isolated lives? How do we overcome this? DP: Western individualism is also isolationism. For the West, the opposite of individualism is tribalism. Indian thought is somewhere in between: we are individuals in a network of relationships, some positive and some negative. We are part of a tribe (caste/community) that exists in an network of other tribes. Here, relationship is the key. How we engage with the other determines the quality of our life. Apekshita Varshney is a journalist who has worked with media organisations, non-profits, and the Government of Maharashtra. She is now a freelance writer which gives her time to read, travel, and write fiction. She writes about technology, communities, gender, politics, and well-being.